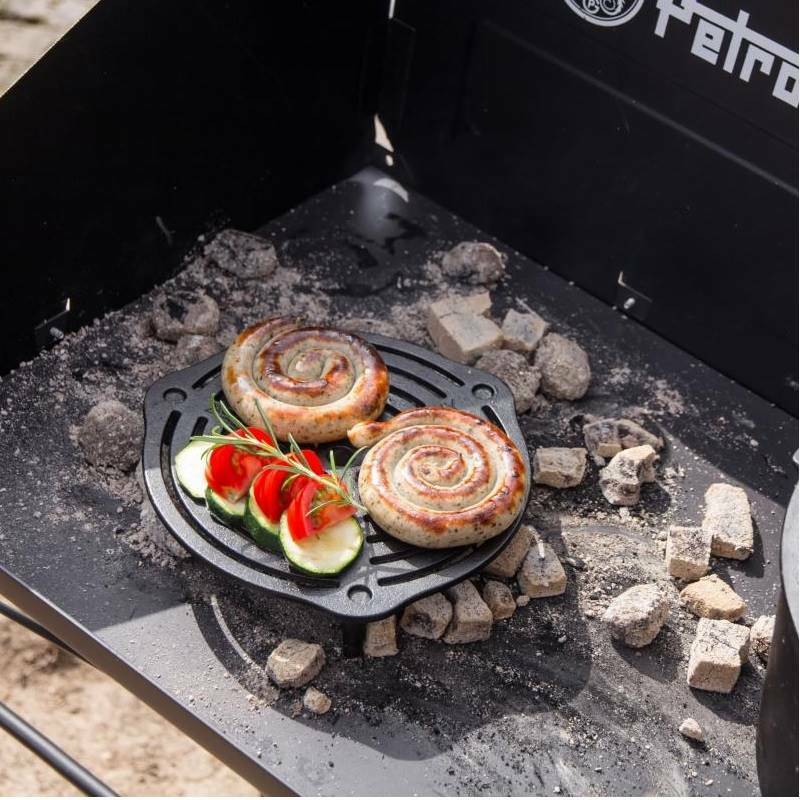 With the Petromax stack grate made of solid cast iron, baking and cooking in the Dutch Ovens (optimally suited for ft4.5, ft6, ft9) is successful without burning the food, thanks to the generous distance created by the feet. 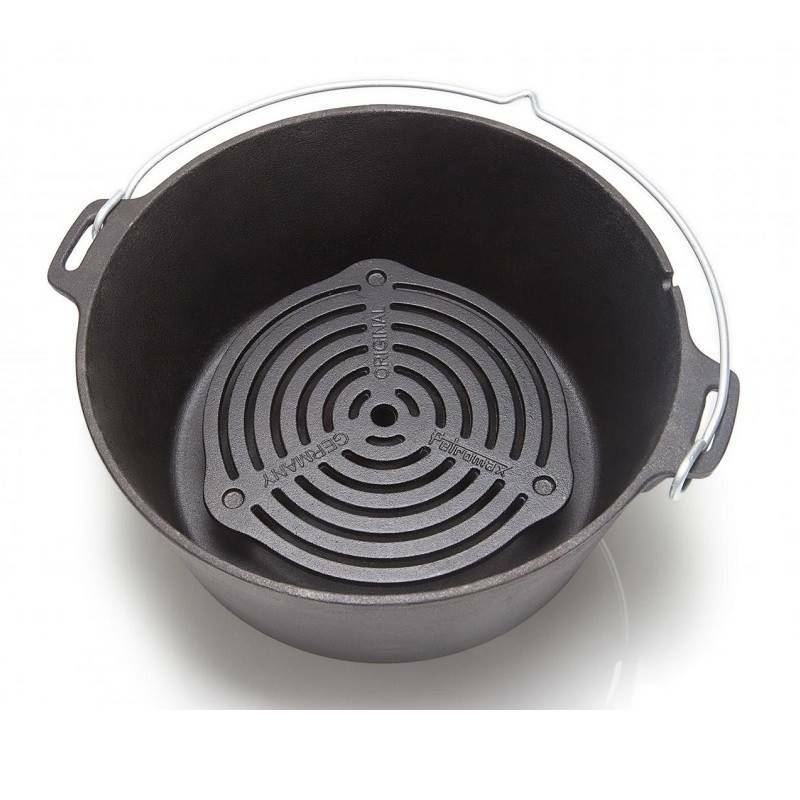 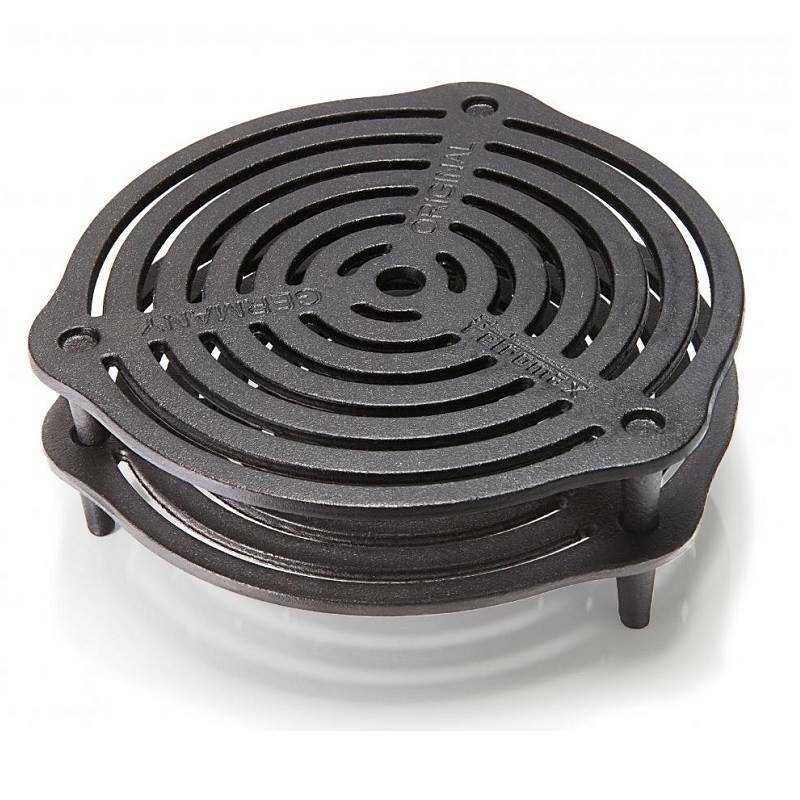 Since the grate has small holes on the upper side, several stack grates can be piled up perfectly: it is thus possible to bake, braise and steam at several levels. 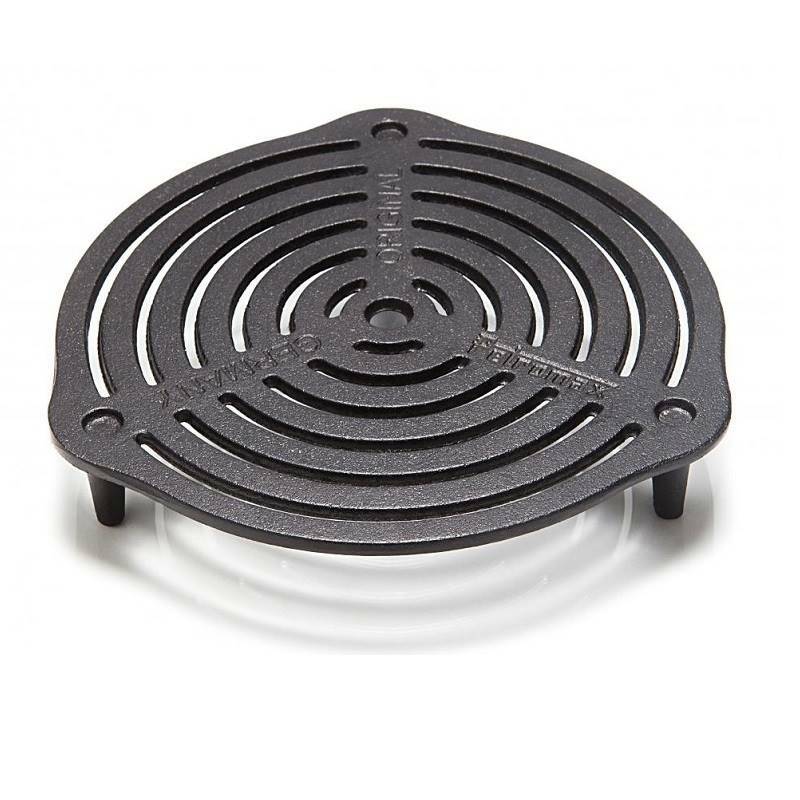 Thanks to the three feet with a length of 4.3 cm (1.7 in) each, the stack grate also stands steadily in the fire or on the table as a trivet. 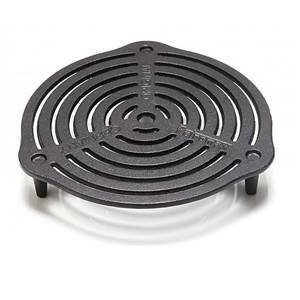 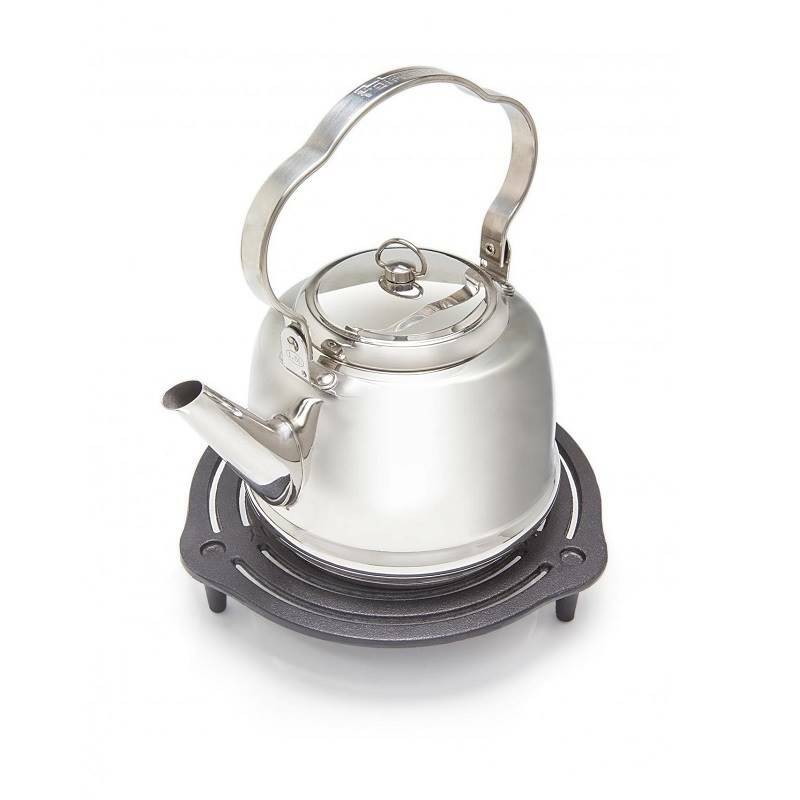 It fries the perfect grill marks onto meat when used on the embers, or it also serves as a steady surface for putting down tea kettles or percolators.